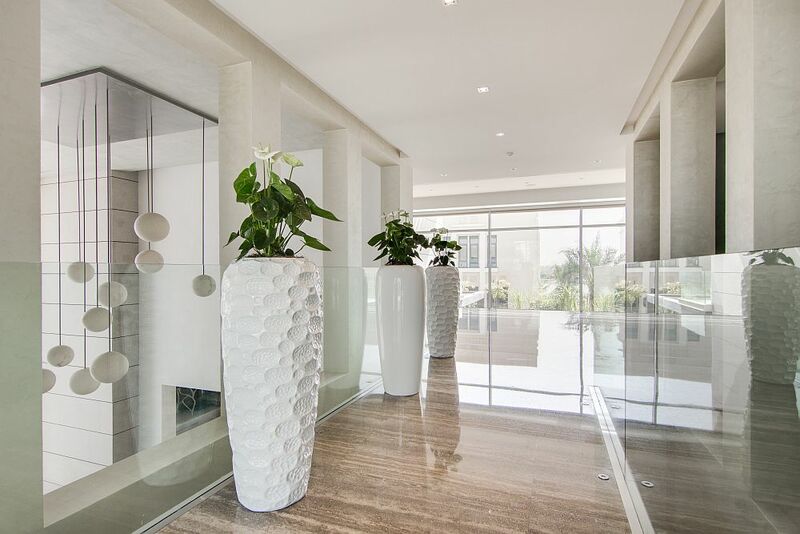 Luxury and Dubai are words that go hand-in-hand, and it is one place on earth where you will not struggle to find stunning, contemporary homes that will simply blow you away. 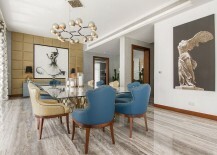 And topping the charts is the prestigious Emirates Hills community that is home to some of the most lavish homes and private residences in all of the Middle East. 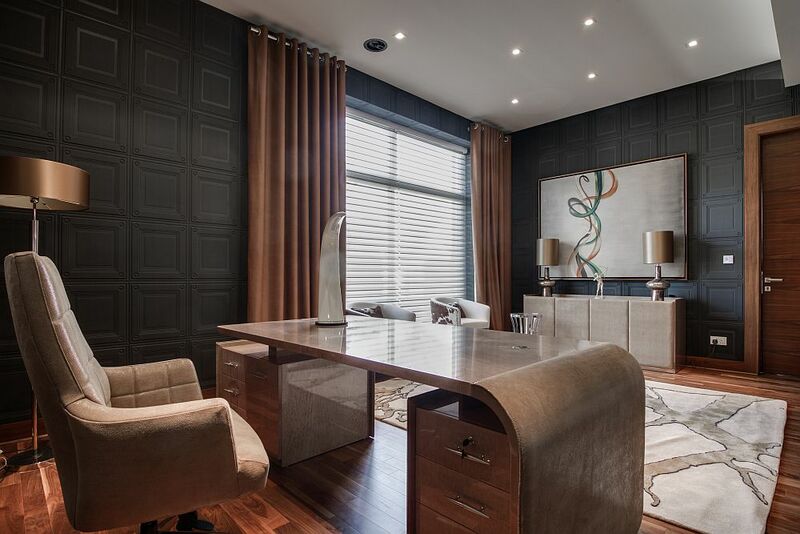 Located in the sophisticated urban oasis is this fabulous contemporary villa designed by Nikki B Signature Interiors in sensational style. 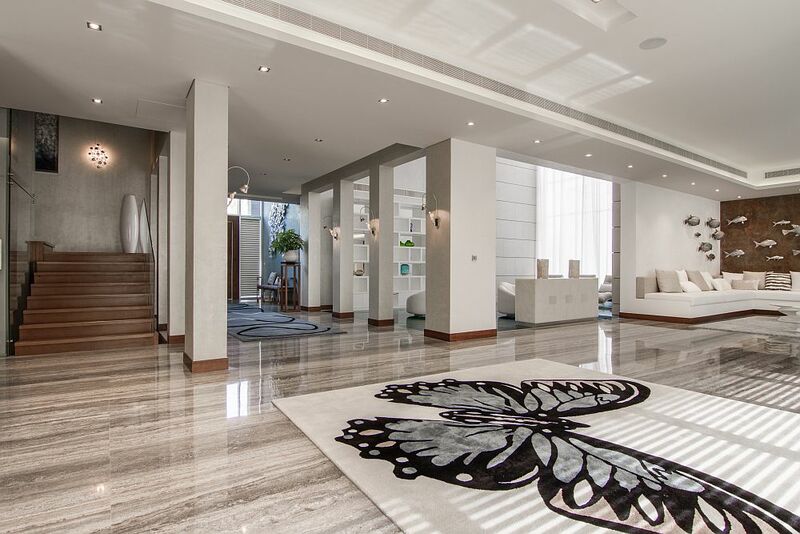 Filled with bespoke details, custom fixtures and an ambiance that captures the charm of Dubai perfectly, it truly transports you into a world of affluence. 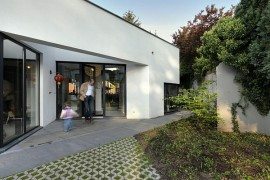 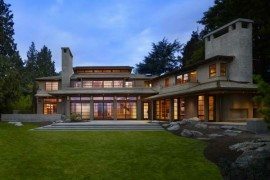 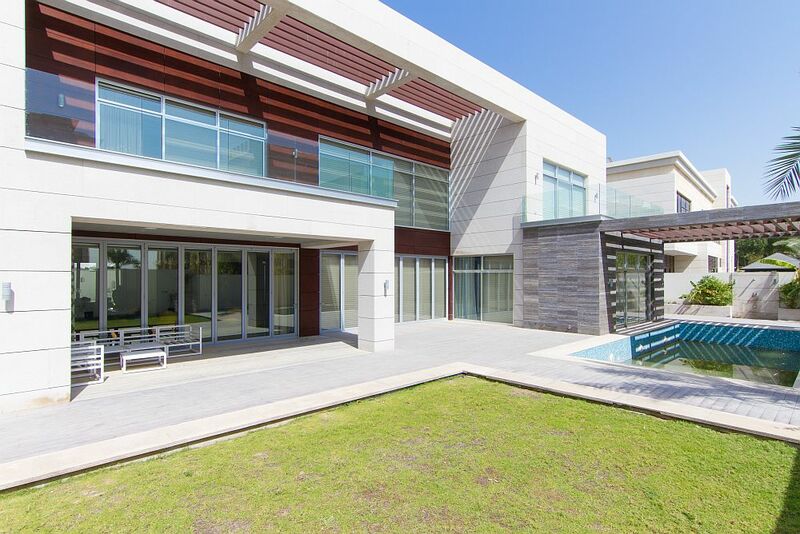 The villa seems to blend intricate and unique details with an elegant modern style to offer a retreat that perfectly brings together form and functionality. 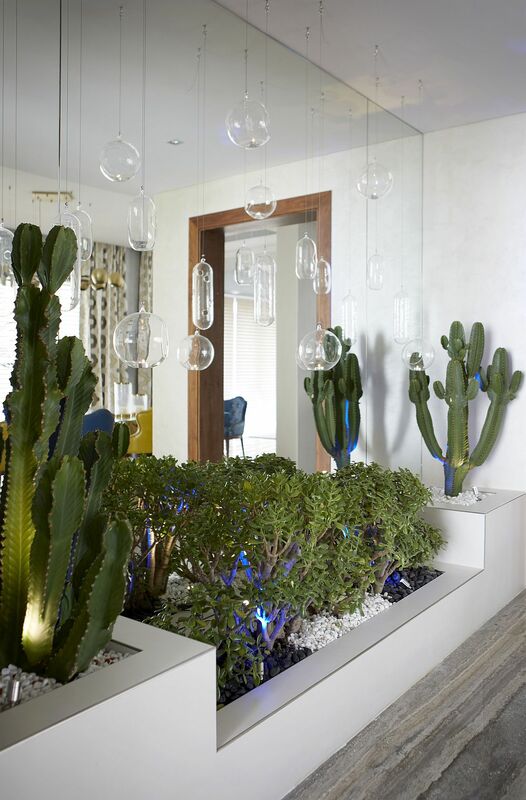 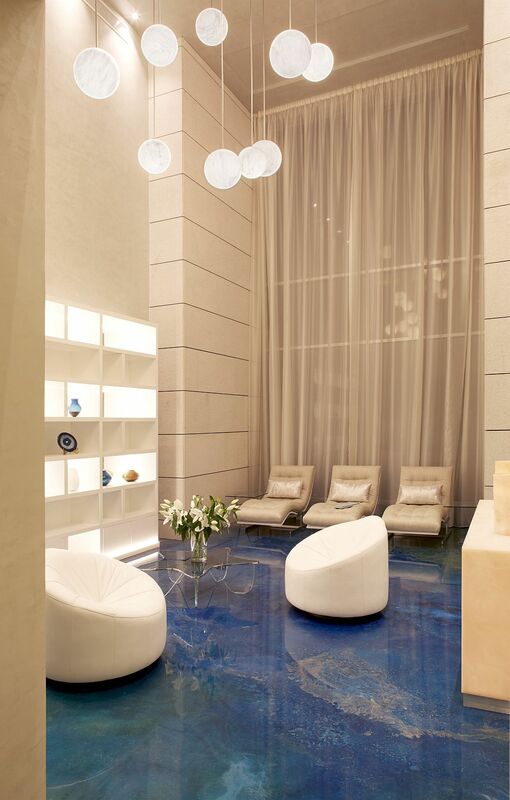 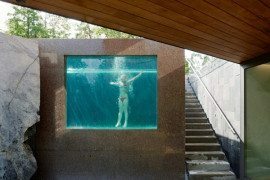 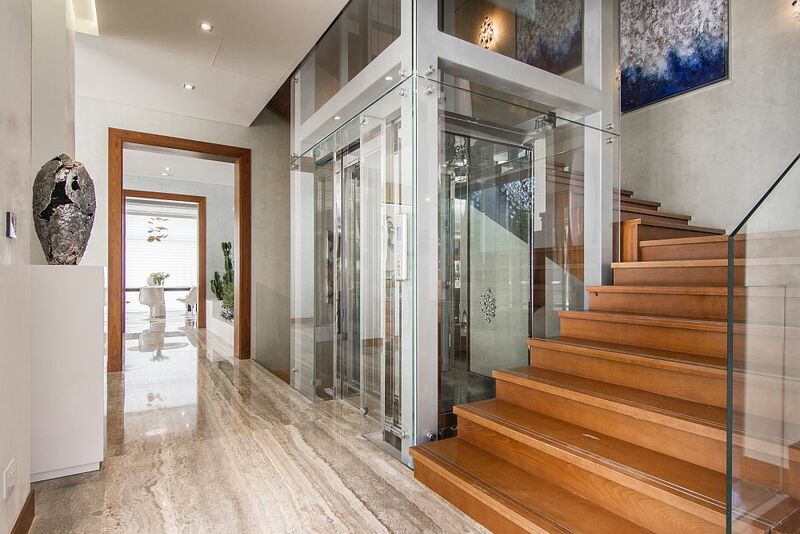 Spread across several levels, a large double-height entrance welcomes you here and leads toward the smart living area that seems to be inspired by coral reefs and the deep blue sea. 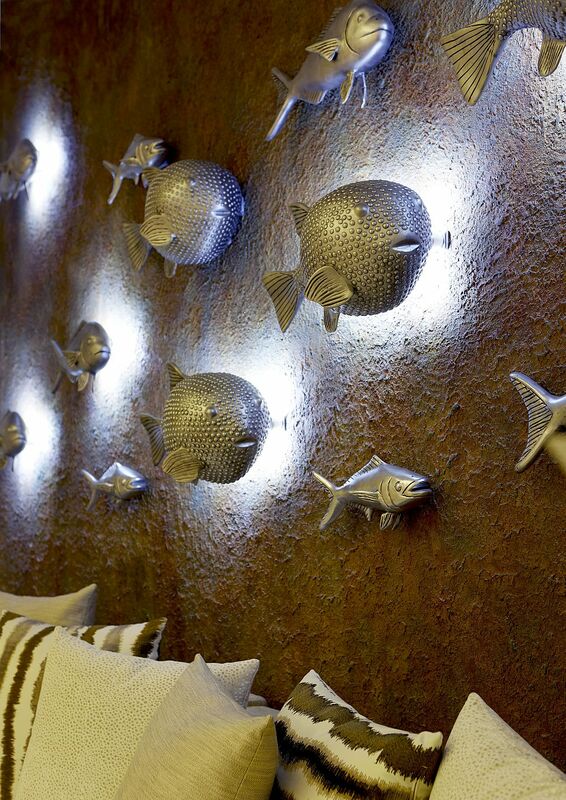 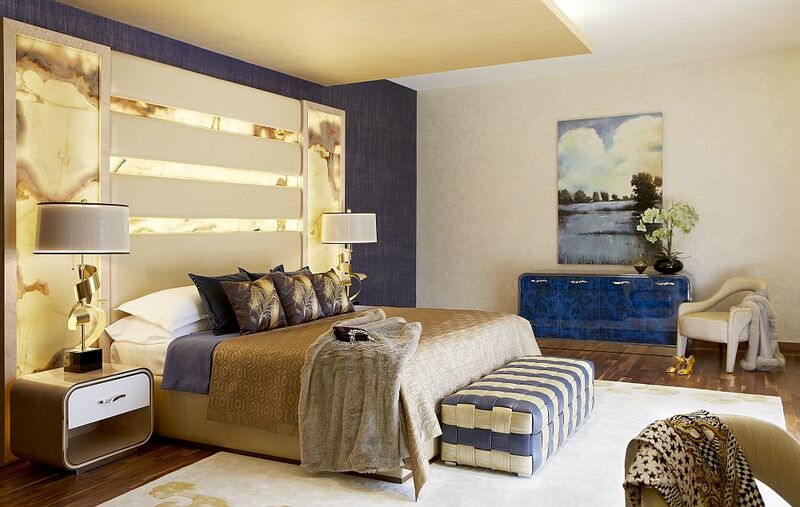 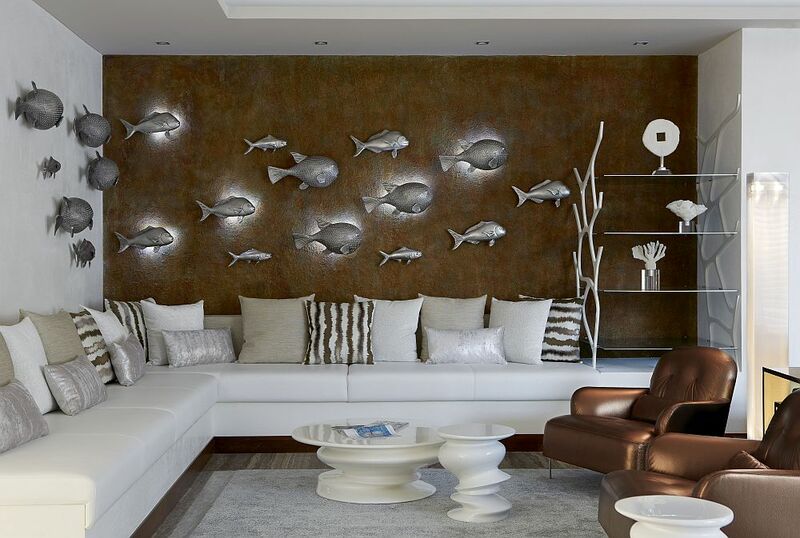 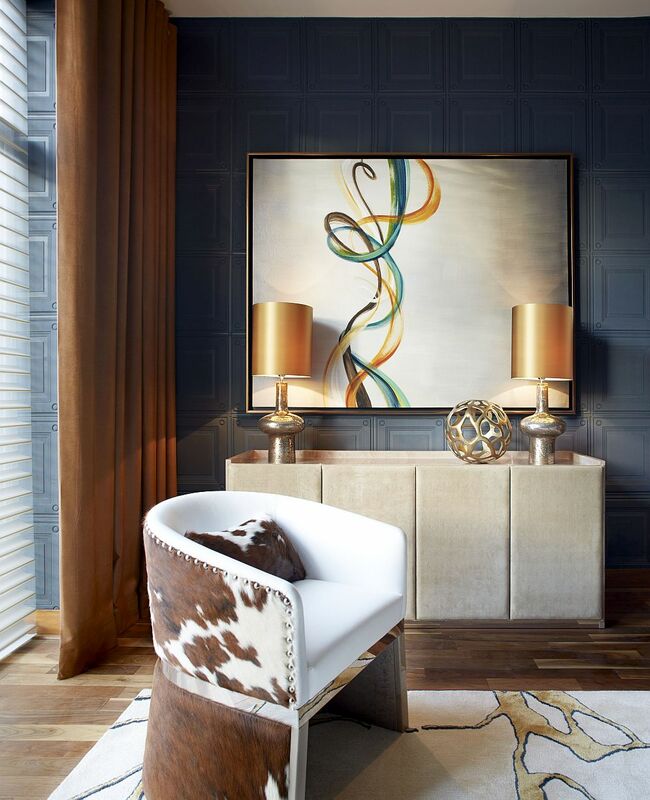 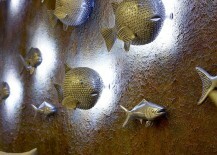 Custom wall art on the walls coupled with impressive lighting immediately grabs your attention, while subtle touches of blue and turquoise add to the ocean-inspired interior. 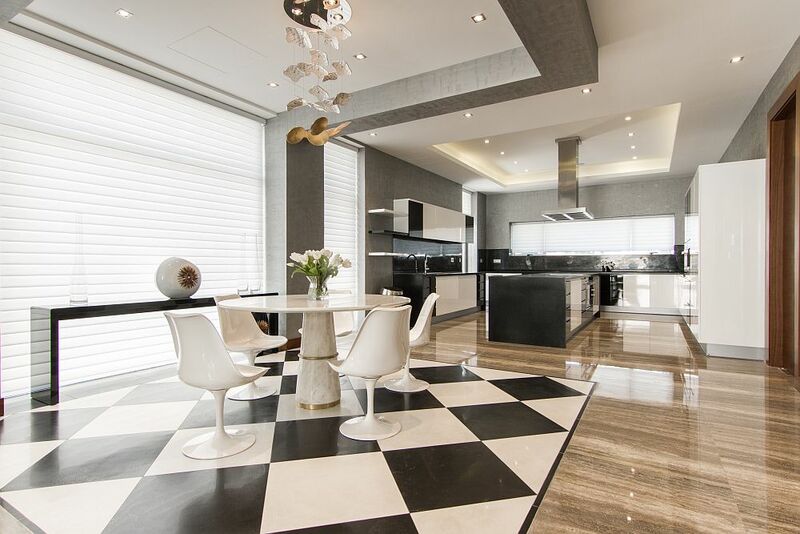 A grand social zone filled with dining space that showcases a checkered floor in black and white and a sleek modern kitchen extend the lower-level living space. 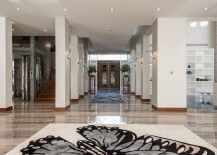 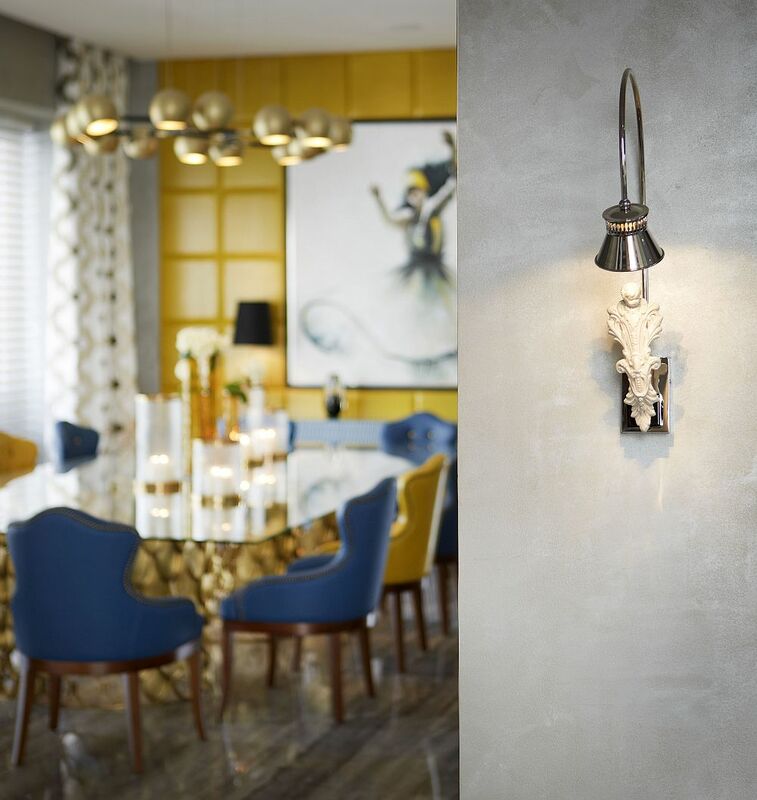 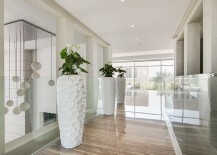 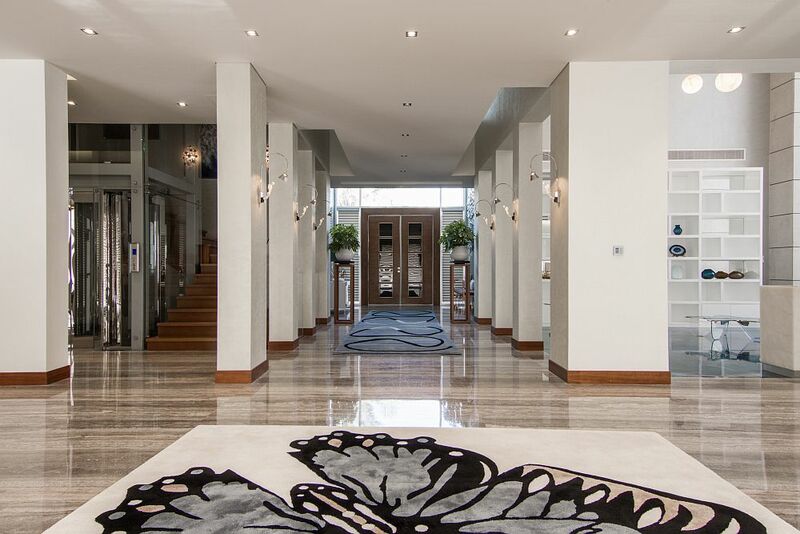 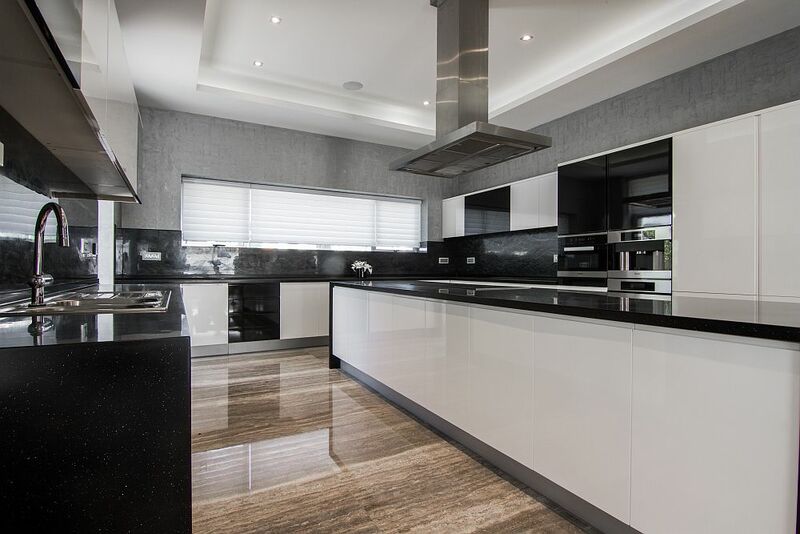 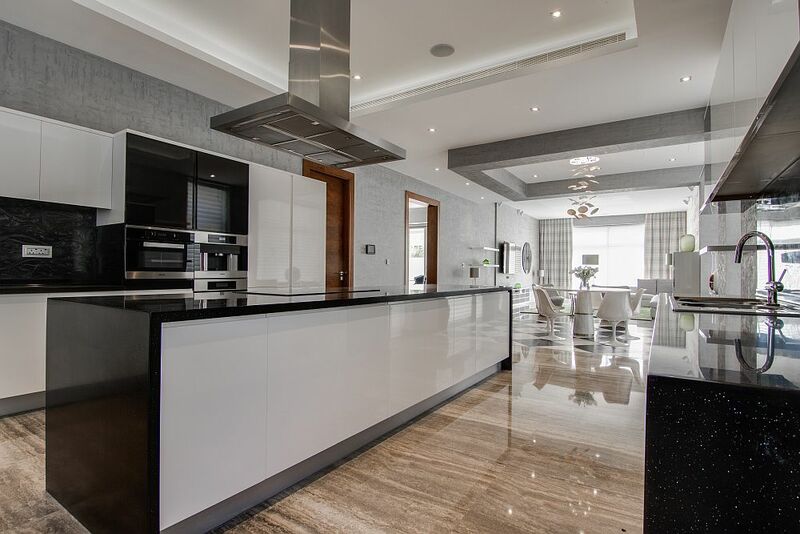 Additional dining spaces, sitting zones and family areas throughout the house ensure that there is plenty on offer at every turn, and a glass elevator connects the various lavish levels. 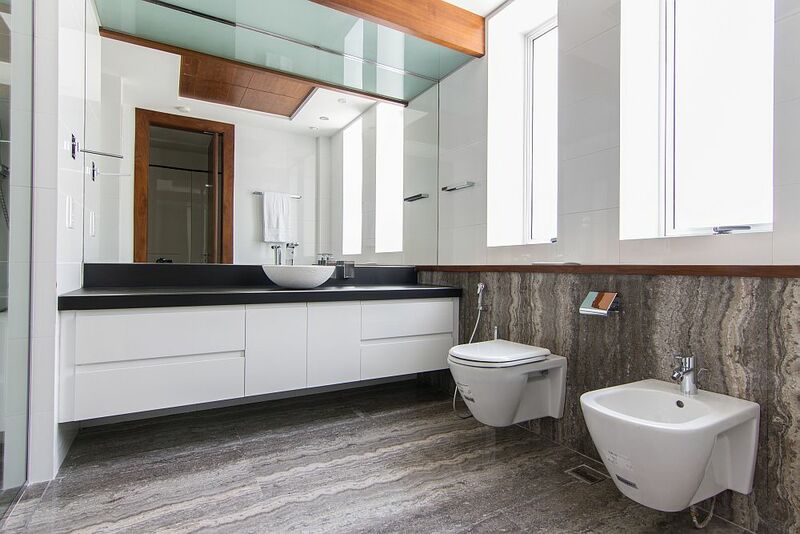 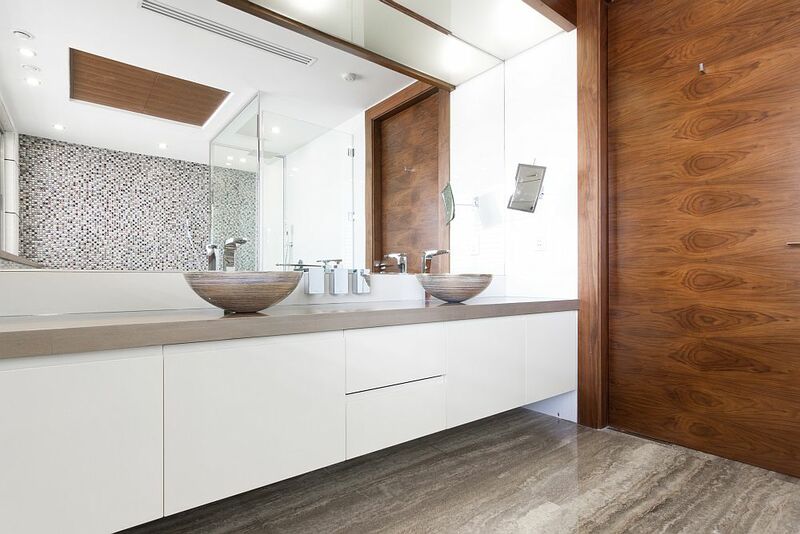 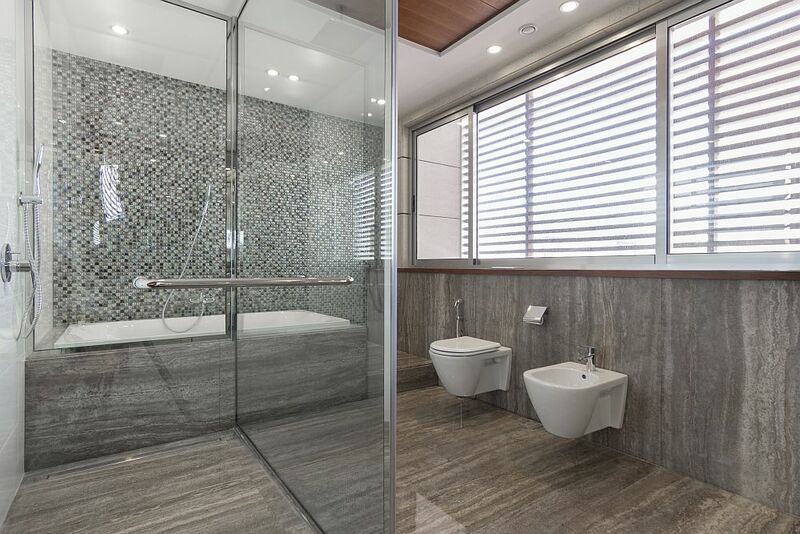 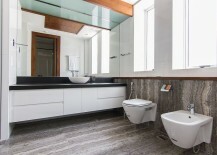 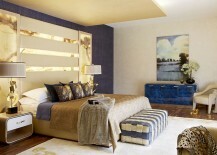 A muted color scheme with earthen tones is employed in the villa, with polished natural stone being used in every room. 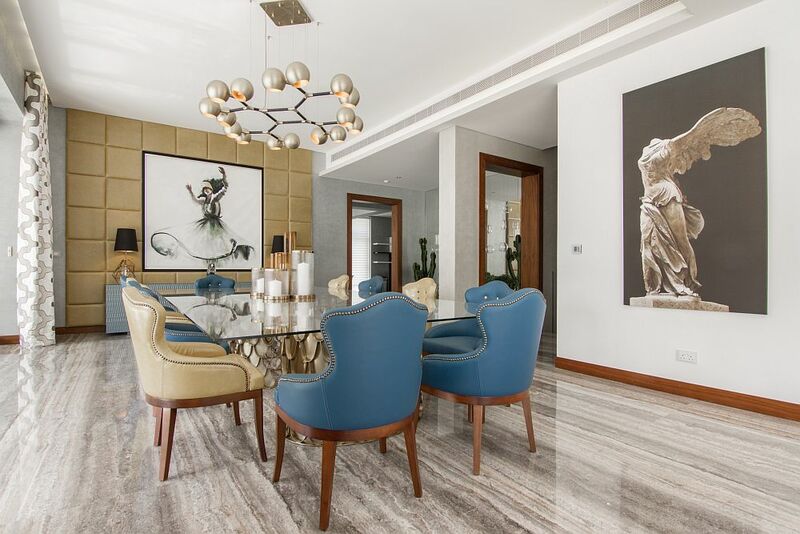 A ravishing master retreat, 6 additional bedrooms and bathrooms, a home theater, a gorgeous home office, additional service quarters and multiple balconies complete this exquisite villa. 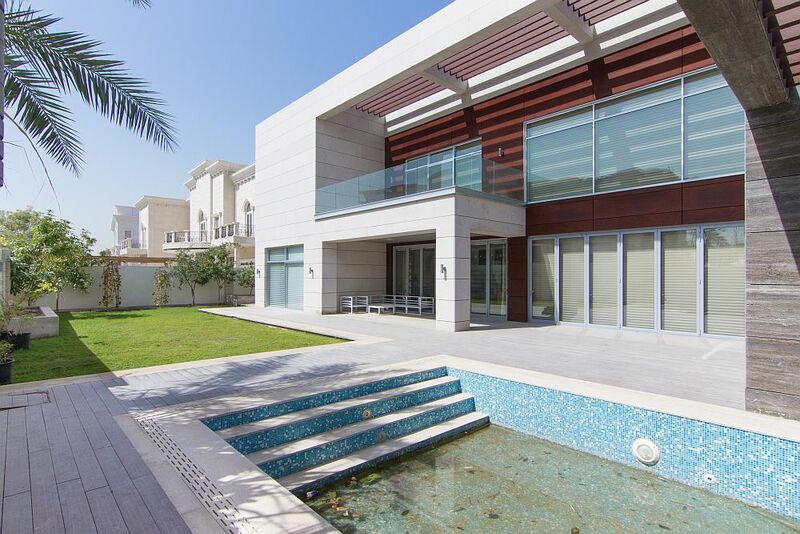 The landscape around the home, a refreshing pool and a world-class golf course and gymnasium nearby add to the lifestyle at this Emirates Hills villa. 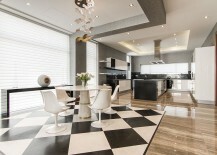 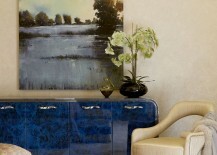 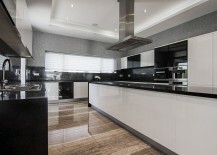 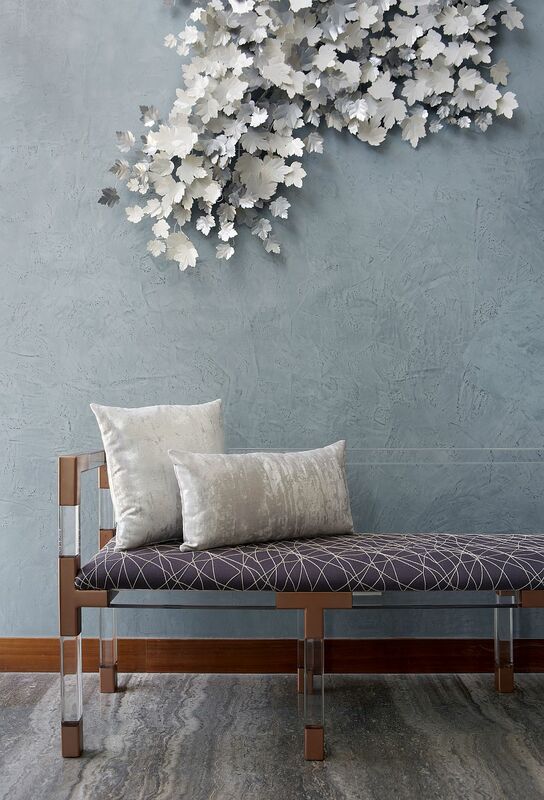 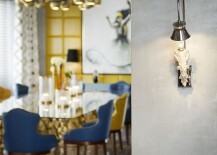 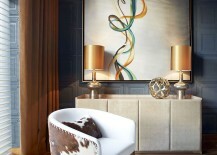 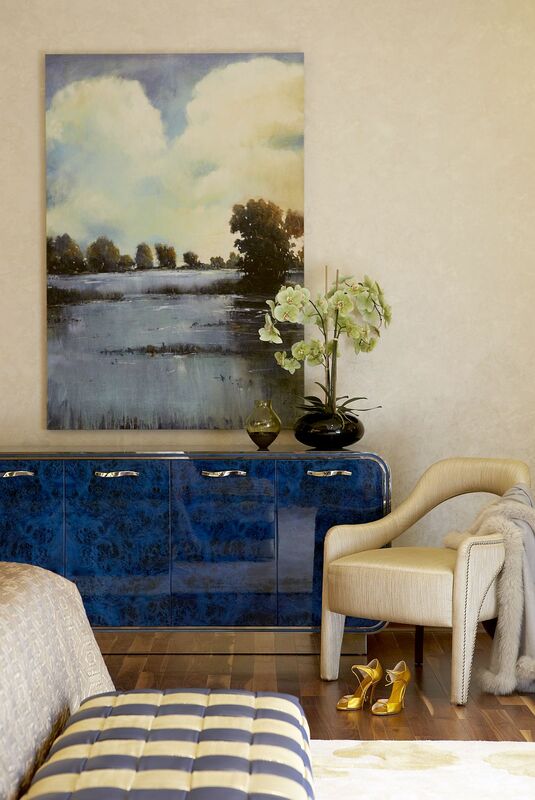 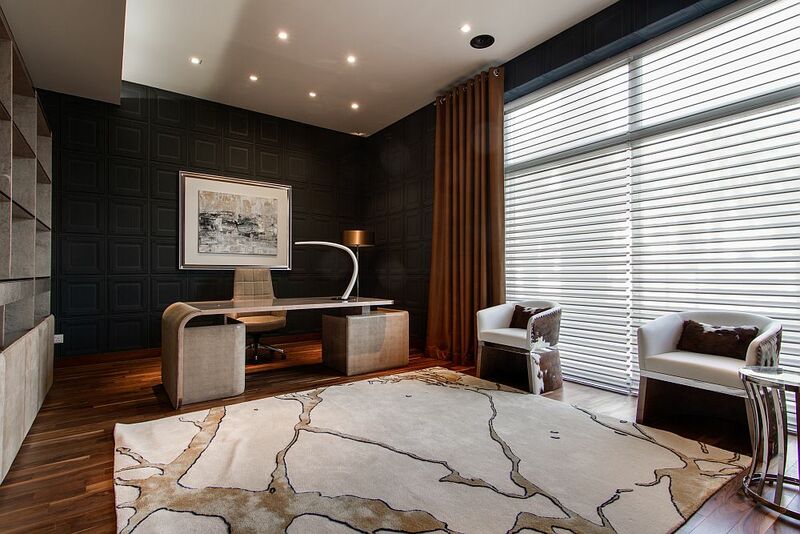 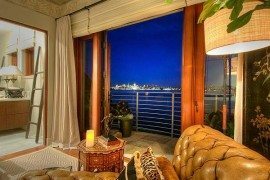 Currently up for sale, you can make it your own by heading over to Luxhabitat right now!